The Bible is full of people making bad choices. That’s good news for us. That is perhaps the single best reason to read the Bible with your children: from the very beginning, God has used deeply flawed, wildly inappropriate, very human people in order to accomplish God’s work. If that isn’t good news for all of us, I don’t know what is. This is still how God works, in and through us. Peter later that same year also famously proclaimed, “I prefer safety over fun,” after crashing in the driveway while learning to ride a bike. In reading, however, he threw caution to the wind. He devoured fantasies, myths and legends, and was for a long time far more interested in Greek and Roman gods than “your God, Mom, no offense.” I wasn’t worried, although I confess I was occasionally embarrassed in public settings, as when he casually said just this at dinner one night with a chaplain from Cambridge University. I thought he might be drawn to the drama and action of the Hebrew Scriptures. As it turned out, it was the very idea of God working in and through us that grew in Peter, and what he found most compelling were the stories of Jesus, God-with-us. We read from various children’s Bibles at home. I am very picky. 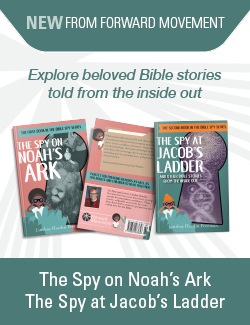 Look for beautiful illustrations and a Jesus who is not blue-eyed and blond haired. Desmond Tutu’s Children of God Storybook Bible is great for preschoolers. For elementary-aged kids I particularly love The Bible For Children retold by Murray Watts. The one I grabbed off my shelf was The Children’s Illustrated Bible by Selina Hastings, which has helpful facts, photographs and maps. Using the method set forth in Godly Play, a wonderful Montessori-based program of Christian formation, we wondered about what we read. We asked, “What part of the story do you like best? What part of the story do you think is the most important? Which part of this story is also about you?” Wondering leads to reflection in ways that often surprise and enrich us, deepening and strengthening our connection to God. We wondered at a picnic about how five thousand people might be fed and during a storm about the calm Jesus brought. Jesus taught and sometimes the people listening just didn’t get it—is there anything more relatable to a school-aged child than that? His friends the disciples were sometimes great and sometimes disappointing, silly in some situations and at other times brave. Jesus calls God “Father” and the word in Hebrew is more like “Daddy.” What does that tell us about how close they were? And then there are the stories Jesus tells, parables, puzzles really, these gifts that must be carefully unwrapped to discover their meanings, and each time we read them we may find new meanings. We wondered most about the kingdom of heaven Jesus describes, already present and not-yet-here. Now that Peter is older we read different translations of the same passage, comparing the King James Version to the New Revised Standard to the Common English Bible to The Message. We use the prompt that Emily Scott, our pastor at St. Lydia’s Dinner Church poses after scripture is read: “Share a word or a phrase or an image that struck you in the text.” This is the time, too, to learn something about the context of the passage: Who was this story told to, and why? What was happening in this time and place? It is always okay to say “I don’t know what this means. I don’t understand this either.” A good study Bible will come in handy. Now is the time to make connections or contrasts to our own lives. At St. Lydia’s we stick to telling stories, as they tell us more than opinions. In this way we learn about ourselves and each other as we learn about God. We have a votive candle Peter decorated with ModPodge and scraps of brightly colored tissue paper. When the candle inside is burning the votive glows like stained glass. For years we lit it whenever we read from the Bible at home. We look for illumination in the Word of God. Sometimes it comes easily, often not. We keep at it. We are People of the Book, and wrestling with these stories is our birthright. This post is an excerpt from the forthcoming book Faith at Home: A Handbook for Cautiously Christian Parents. Reprinted with permission from Church Publishing Incorporated. What conversations have you had about the Bible with your children? Wendy Claire Barrie has directed programs for children, youth, and families since 1989 in seven Episcopal congregations large and small on both coasts, presently at Trinity Church Wall Street. Wendy is also the mother of an especially curious thirteen-year-old, and the author of the forthcoming book, Faith at Home: A Handbook for Cautiously Christian Parents. What a fresh yet realistic way to read the Bible with new eyes! “The Bible is full of stories about people making bad choices”…I like that. This is terrific, Wendy. I was just wondering about the book yesterday evening while eating dinner and am so glad to see it is making progress. I certainly like what I’ve just read! Forwarded it to one of our sons – Chris. Please keep me posted on the progress, as I’ll be first in line to buy a copy! Thank you, Karen! Balancing writing a book with a full-time job and a full-time family has been tricky for me, but I am getting there. I didn’t realize until the blogpost went up that the book is available for pre-order on Amazon! Feeling real gratitude for this piece! 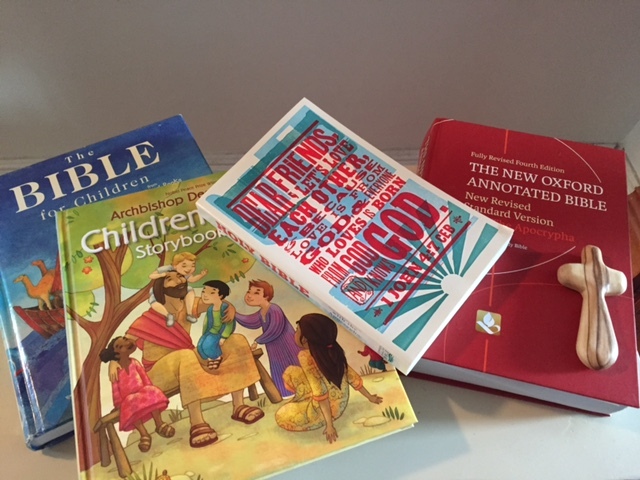 I’m the Children & Youth Field Secretary for New York Yearly Meeting (Quakers), and also a Godly Play trainer — I’m often challenged by Friends about Bible stories for children, and this will be a good article to recommend to parents and religious educators. Will share this article post on the Quaker Religious Education Collaborative’s Facebook page as well. Thank you for including the wondering questions as a tool — They create space for the not-knowing as well as the knowing that feels deeply important for reading scripture. I’ve ordered your book, and really hope to visit St. Lydia’s at some point!